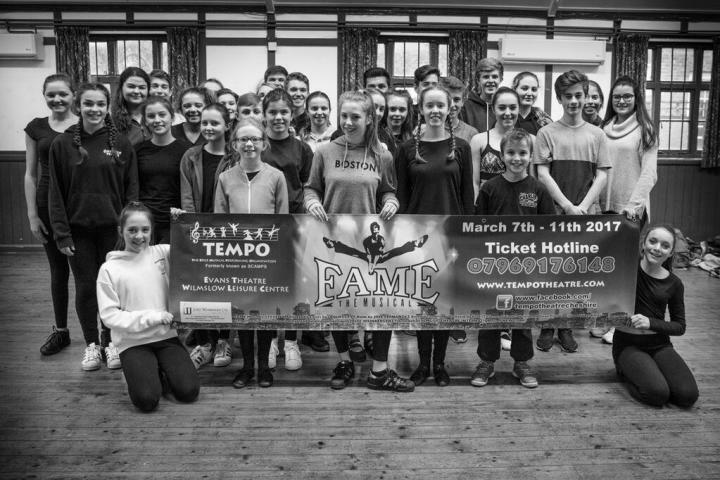 Youth musical theatre group TEMPO will be performing Fame the Musical at the Evans Theatre in Wilmslow next month. Last year's show, Starlight Express won a total of five awards from the Association for Community Theatre including, Most Original Character Actress in a musical for Annabell Haastrup and her portrayal of Pearl, the Most Accomplished Actor in a Musical for Sam Ashell who played Rusty, and the show's success was rounded off with TEMPO winning The Most Original Youth Production 2016 - Musical. Chairman Alison Bisset said "We were delighted to have won in so many categories and proud of all our cast and crew who put on such a fantastic show. "We are now busy rehearsing hard for our next production which will be FAME the Musical, and once again our young company are thoroughly enjoying getting to grips with this new and very different show set in New York during the 1980's. FAME is about a group of young people, their commitment to and passion for the performing arts, with some great characters, memorable songs and everyone is really looking forward to performing it in March. " The show tells of life at the New York City's famous High School of Performing Arts, and follows a group of students across the acting, dancing and music faculties where sweat and hard work are the key factors to a successful life as a performer. The students learn to master their craft and grow up alongside each other, rising to the various challenges that face them along the way. FAME the Musical is based on the 1980 film and had its world premiere in Florida, USA in 1988, arriving in London in 1995. FAME the Musical will be performed at the Evans Theatre, Wilmslow Leisure Centre between Tuesday 7th and Saturday 11th March. Performances are at 7.30pm with a matinee on Saturday at 2.30pm. For more information and tickets go to www.tempotheatre.com. Tickets are also available by calling 07969 176148.